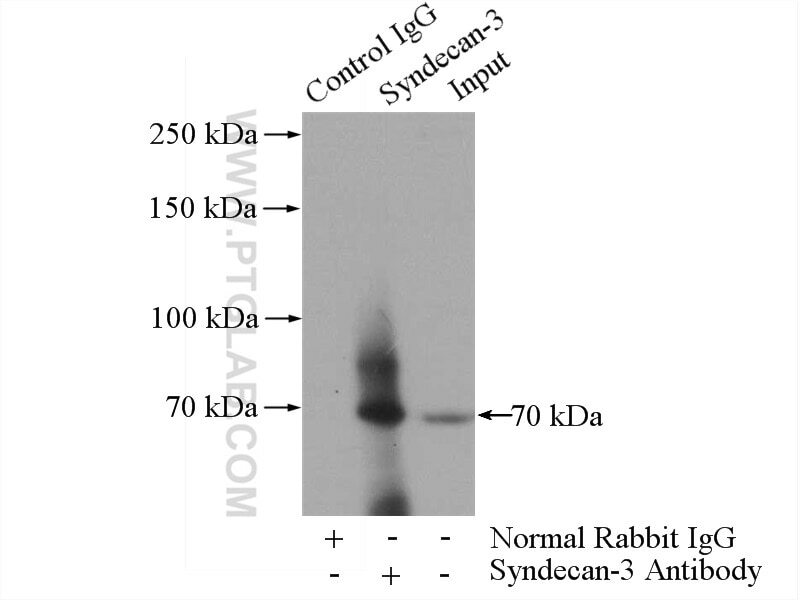 IP Result of anti-Syndecan-3 (IP:10886-1-AP, 4ug; Detection:10886-1-AP 1:1000) with mouse lung tissue lysate 4000ug. 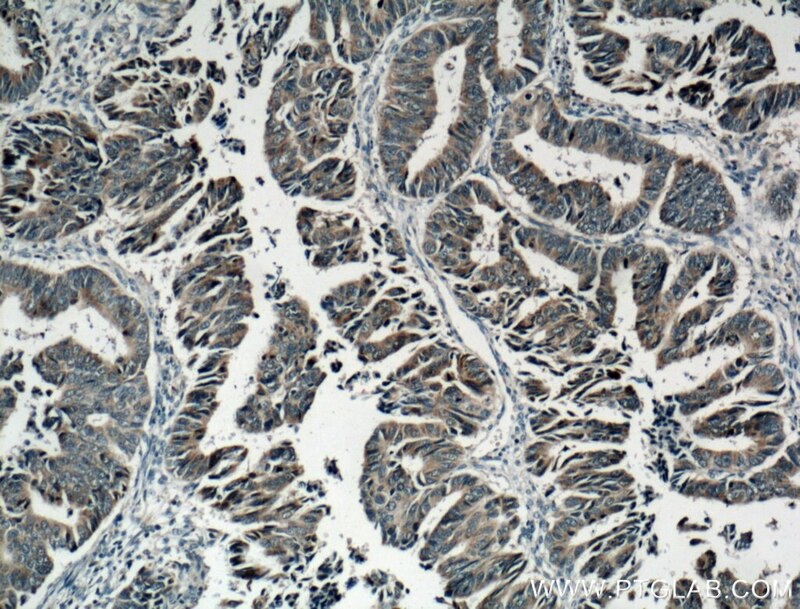 Immunohistochemical analysis of paraffin-embedded human colon cancer tissue slide using 10886-1-AP( Syndecan-3 antibody at dilution of 1:200 (under 10x lens). heat mediated antigen retrieved with Tris-EDTA buffer(pH9). 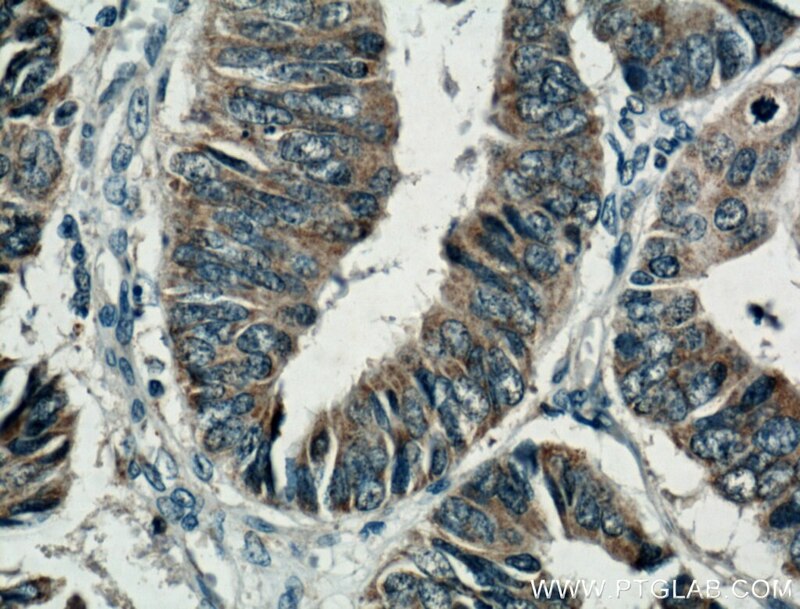 Immunohistochemical analysis of paraffin-embedded human colon cancer tissue slide using 10886-1-AP( Syndecan-3 antibody at dilution of 1:200 (under 40x lens). heat mediated antigen retrieved with Tris-EDTA buffer(pH9). Syndecan-3 is a member o f the Syndecan proteoglycan family. 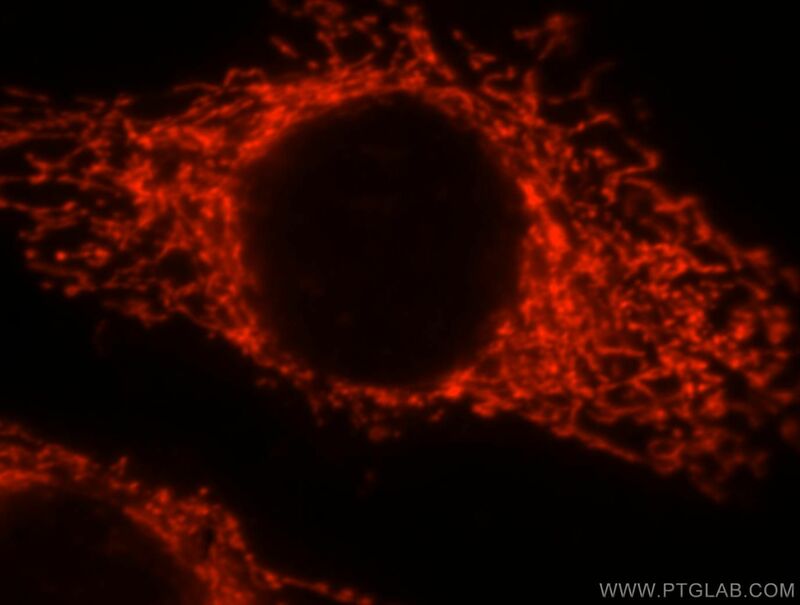 It plays a role in the organization of cell shape by affecting the actin cytoskeleton, possibly by transferring signals from the cell surface in a sugar-dependent mechanism. Tissue was fixed in PFA with tris-HCl antigen retrieval ph=6. Co-localisation with microglia based on known markers (not shown). Prognostic significance of the expression of GFRα1, GFRα3 and syndecan-3, proteins binding ARTEMIN, in mammary carcinoma. Screening for potential targets for therapy in mesenchymal, clear cell, and dedifferentiated chondrosarcoma reveals Bcl-2 family members and TGFβ as potential targets. 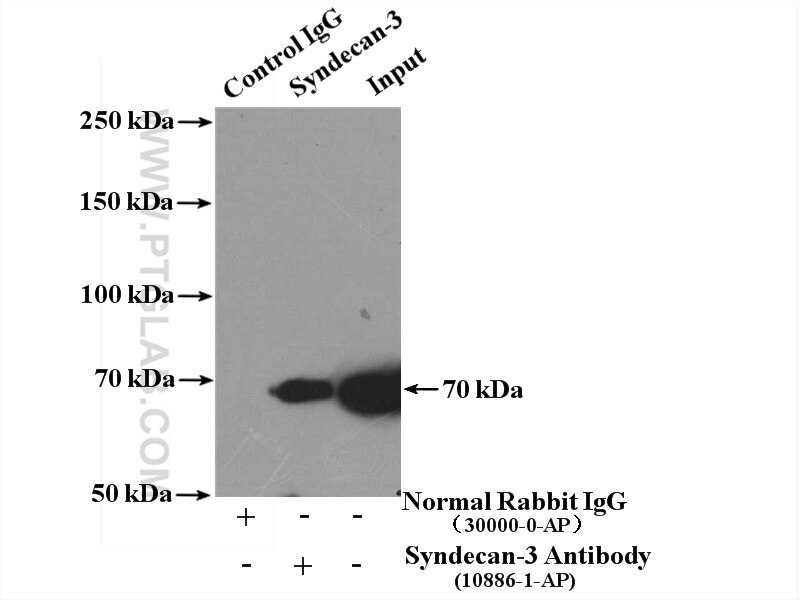 IP Result of anti-Syndecan-3 (IP:10886-1-AP, 4ug; Detection:10886-1-AP 1:600) with A549 cells lysate 2800ug. 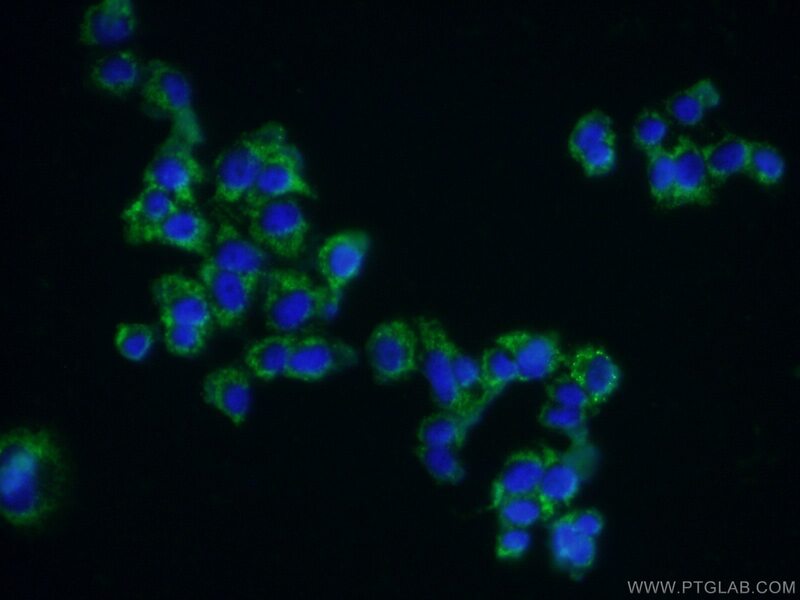 Immunofluorescent analysis of MCF-7 cells, using SDC3 antibody 10886-1-AP at 1:25 dilution and Rhodamine-labeled goat anti-rabbit IgG (red).